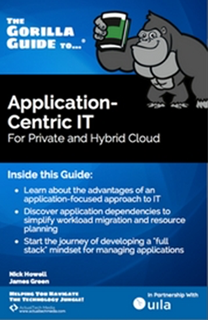 The IT world is now shifting fast to becoming Application-centric more than ever before. The Hybrid Cloud momentum is also unstoppable. So how should IT Operations teams get ready for this shift and not get left behind? Let the Gorilla guide provide you with all the answers necessary to navigate through this monumental journey. Want a physical copy of the ebook? If you are located in USA and would like a physical copy mailed out to you, drop us a note at marketing@uila.com with your name & mailing address.